The Lion Foundation aims to provide a comfortable life to all feline predators that arrive in the rescue facility. All animals have different requirements. That is why the foundation spends a lot of time on behavioural research. 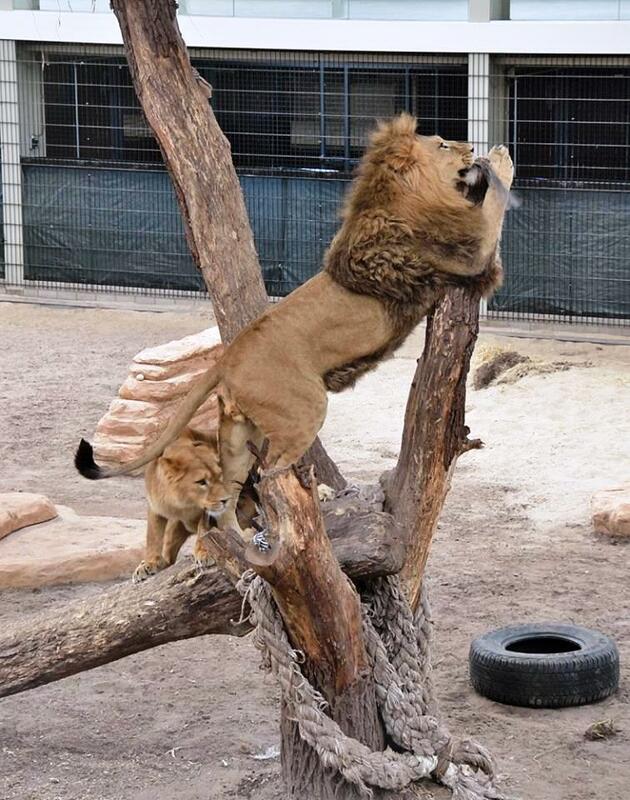 In the interest of the animals, the Lion Foundation tries to imitate the natural surroundings of the felines as closely as possible, for example by using a hunting simulator and natural fencing. The effects of these on the animals is being studied. The results of these studies will be used to improve the quality of life of the rescued animals wherever possible. The research on the well-being of the animals doesn’t stop when they are returned to their natural habitat. Many wild animals in zoos exhibit stereotypical behaviour. They for instance walk around in the same circle over and over. This process releases endorphins in their brain, intoxicating them. Because this makes them feel better, they will try to induce the intoxication by even more stereotypical behaviour; a vicious circle. One cause of this behaviour is being watched all day by visitors. For this reason the Lion Foundation opted for a more natural fence between the animals and the visitors. The visitors can still observe the big cats through holes in the fence, but the animals feel less threatened. Research shows that the lions and tigers do exhibit less stereotypical behaviour behind natural fencing. Would you like to know more about the effects of natural fencing? Read this study. …that already ten lions from the Lion Foundation were returned to South Africa? 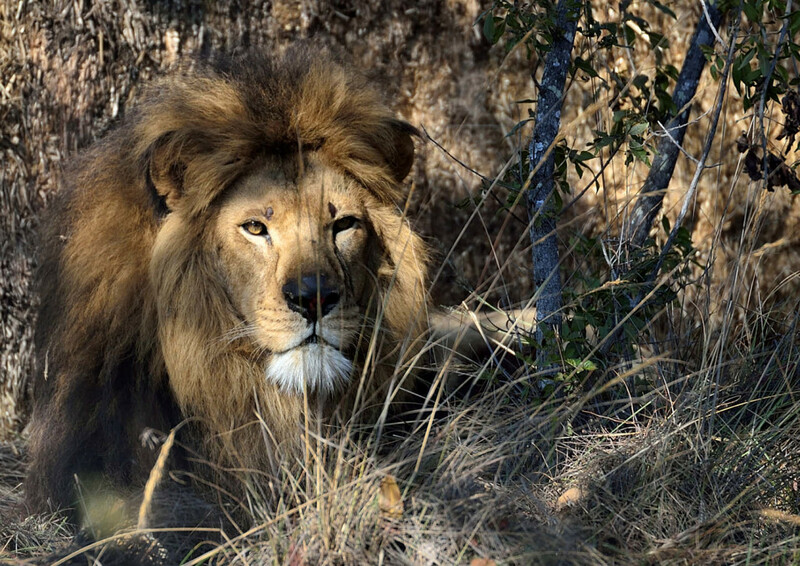 Help to let more lions enjoy a life in their natural habitat, by adopting an animal.